Adam Jared Brody (born December 15, 1979) is an American film and television actor and part time musician. 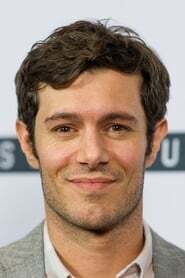 He began his career in 1995, appearing on the Gilmore Girls and other series, and subsequently came to fame for his role as Seth Cohen on The O.C. Brody subsequently appeared in several film roles, including Mr. & Mrs. Smith, Thank You for Smoking, Jennifer's Body, In the Land of Women, Cop Out, and Scream 4. Description above from the Wikipedia Adam Brody, licensed under CC-BY-SA, full list of contributors on Wikipedia. as "Fred Packenstacker / Charlie Walker"